← Don’t OVERLOOK These REQUIREMENTS! First Aid to Save a Life Pakistan is pleased to share with you that this year’s “World Congress on Cardiology Scientific Session” is scheduled in Dubai, United Arab Emirates. Join your colleagues from across the globe at the WCC Scientific Sessions 2012 Dubai to share the latest science on treatment and prevention. It is the forum for all experts in the field as well as commercial, public and non-governmental parties to meet and exchange knowledge. This event shall benefit the world from April 18 to 22, 2012. The World Congress of Cardiology is a major international event that not only focuses on the cardiology problems of the region in which it is hosted −by working alongside our national members, and for 2012 this will be the Middle East − it also addresses and tackles the importance of cardiovascular disease on a global scale by attracting a strong and enviable international faculty of experts. Read the full advanced programme here. Special sessions including joint sessions with WHF members, the World Health Organization, the Gulf Heart Association or the Pan Arab Heart Failure Association will also feature in WCC 2012 scientific programme. For the first time, two workshops on Echocardiography and Electrocardiography are jointly organized with Emirates Cardiac Society. The event shall be organized at Dubai International Convention Centre (DICEC), Sheikh Zayed Road, World Trade Centre, Roundabout, Dubai. 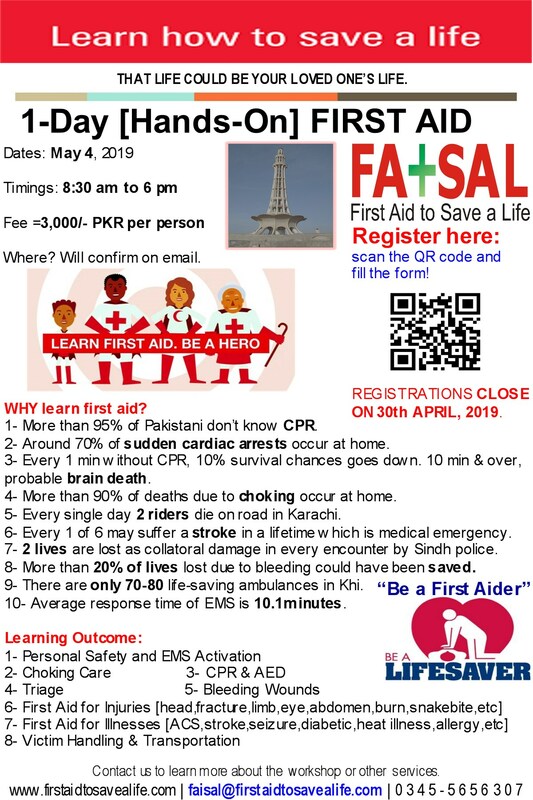 First Aid to Save a Life Pakistan wish them very best of luck for success of this event. This entry was posted in Healthcare and Medical Expo, Industrial News, World Heart Congress and tagged Arrhythmias, Coronary artery disease, Coronary interventions, Dubai International Convention Centre, Dubai International Convention Centre (DICEC), Dubai., Heart failure, Hypertension, Ischemia, Left ventricular function, Myocardial function, Roundabout, Sheikh Zayed Road, Valvular disease / Pulmonary circulation / Myocardial-pericardial disease, world heart congress, World Trade Centre. Bookmark the permalink.